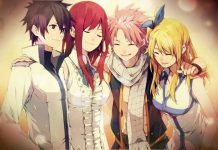 Fairy Tail chapter 522, 523 were released yesterday, meaning that fans are now patiently waiting for the next chapter to arrive. The previous two chapters were released as a combined chapter on the same day. 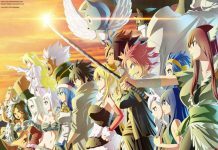 Now, it is said that final arc of Fairy Tail will begin starting from the next chapter. The previous chapters ended with the return of Acnologia, because of which fans are now eagerly waiting to know what will happen next. So without any further due, here is a short recap of Fairy Tail chapter 522, 523 along with what is expected to happen in the next chapter. 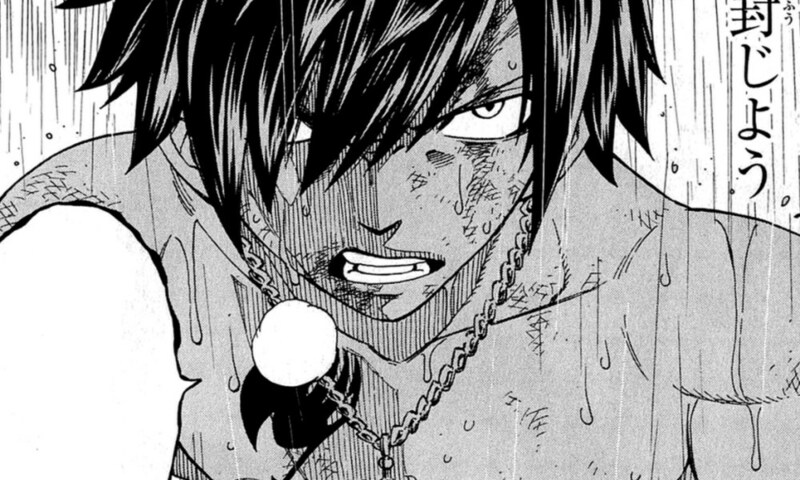 In Fairy Tail chapter 522, 523, Gray was confronted by the darkest mage of Fairy Tail, Zeref. The two were about to engage in a battle against each other, but Gray knew that he was no match for him. So the Ice Mage decided to sacrifice himself to protect the lives of his friends. He decided to use The Lost Attributes on the Zeref so he can lock up the Black Mage in an ice shell. But once he uses it on Zeref, he will no longer be alive. 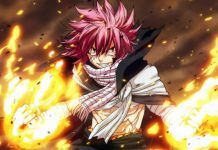 This was the only way to defeat Zeref without killing him, because killing Zeref could lead to killing Natsu. So Gray had to think really carefully before doing anything. 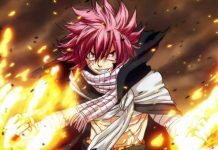 Just when Gray was about to use his magic to lock the Black Mage up in an ice shell and die, Natsu arrived just in time to stop him. Thanks to him, no one died on the battlefield. The scene then switched to Erza who was trying to recover from the injuries she got during her battle with her mother, Eileen. However, her expressions started to slowly fade away after she heard a loud roar. That very roar was of the Dragon who caused Fairy Tail a lot of trouble in the past, Acnologia. Fairy Tail chapter 524 is titled as “Black Future” and is said to focus on Acnologia’s return. The Dragon will join the battle and will once again become a great threat to the members of the Fairy Tail guild. The past few chapters of the series have been really exciting, so it’s hard to predict what will happen next. But fans should prepare themselves as they are about to witness the last battle of the entire series. Fairy Tail chapter 524 will be released sometime in the next week. 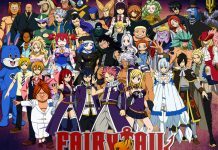 Recently, Comicbook reported that Fairy Tail is now in its final arc. This means that fans should prepare to say farewell to their favorite series. Let us know if you’re excited for Fairy Tail chapter 524 or not in the comments below.